Amazon has quietly discontinued the hugely popular Mayday feature on its Kindle Fire tablets, according a page on the company’s website spotted by GeekWire. Launched back in 2013, Mayday was a bit like Rick and Morty‘s Meeseeks box. If a user got stuck using their tablet, they could summon one of Bezos’ minions for a face-to-face help session. Amazon was proud of Mayday, featuring it prominently on its commercials, and throwing a lot of money into ensuring rapid response times. But it was clear that the feature was heavily abused. It’s also highly likely that Mayday was a massive money pit for Amazon — especially when you consider the rizla-thin margins on consumer electronics, and the relatively low price of the Kindle Fire HDX. Ultimately, the best reason to discontinue Mayday is that it accomplished what it set out to, and helped Amazon become one of the largest tablet manufacturers around. According to a November, 2017 report, the Seattle-based company commands 10.9 percent of the tablet market, up from 7.5 percent in 2016. Amazon has also increased the number of shipped units from 3.1 million in Q1 2016 to 4.4 million in Q1 2017. This is no small feat, as it occured while the overall tablet market has contracted dramatically. 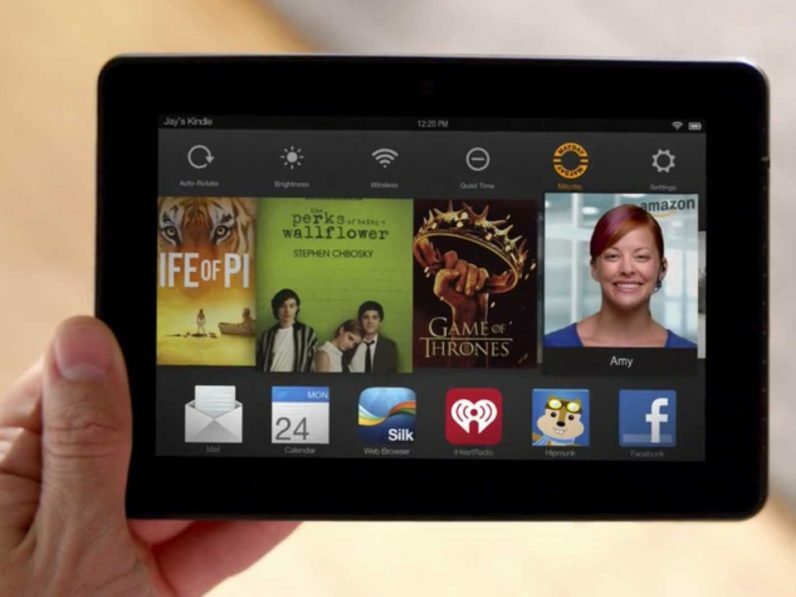 There are a couple of silver linings for Amazon’s Tablet customers. Firstly, Amazon isn’t discontinuing human-based support entirely. Fire owners will continue to have access to support via phone, chat, and e-mail. Mayday Screen Sharing will continue to be offered on supported devices via free customer support, 24×7 by tapping on the Phone & Email icon or via the Help App on their device home screen. With your permission, the Amazon customer service expert can share your screen to draw on your screen, talk you through how to do a task, or do the task for you.